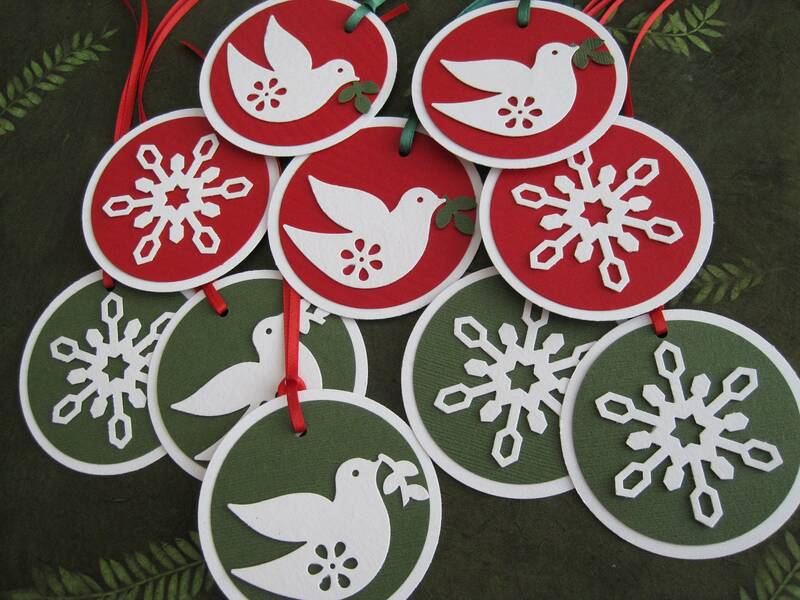 This set of 10 tags features bright white doves and snowflakes in red and green. The base is an 80# cover bright white cardstock. The background colors are red and green. Each tag includes a green or a red satin ribbon tie to easily attach to a wrapped gift, homemade goodies, or a bottle of wine for a hostess gift. They are approximately 2 1/2".